Creat on : Saturday 14 January 2012	. Monday 2012/01/16 20:30 (Canal 1). 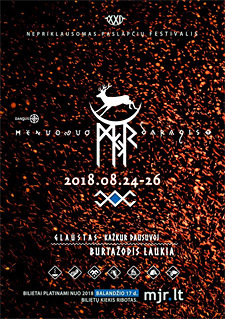 SKarjalan Sissit – Peracta Militia, Poladroid – Punishment, Autodafeh – Hunt for glory, Covenant – Dead Stars, Dioxyde – Angel, Carré FR : Bad Taste, Golden Oldie : Death In June, Kopjekunst : Bad Taste, Von Thronstahl – Molti Piu Onore, Arditi – The Measures of our Age, Dulce Liquido – Pissed Off , Haus Arafna – Today you Died.